Do you love the finer things in life ? For a total change of scenery, head for the Pierres Dorées region for a weekend amongst the vines ! We're not far from Lyon, the birds are singing, the vines are soaking up the sun, and the housefronts seem to glow. Welcome to Beaujolais des Pierres Dorées, where you will find everything you could possibly need for a wonderful weekend: wine, gastronomy and historic heritage. All thanks to the organisation Cadoles et Sens. 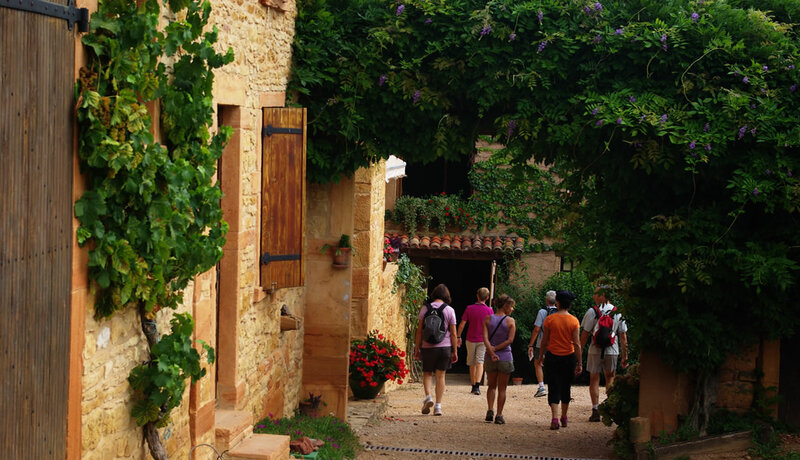 Grab your sunglasses and let your spirits soar as we set off for a Food-lovers' walk through the vines and the charmingly authentic villages of the Beaujolais region. You can take your pick from a variety of activities such as tastings, walks amongst the vines, shows, or even themed workshops for adults or children. There's something for everyone in Beaujolais, come and discover for yourself!